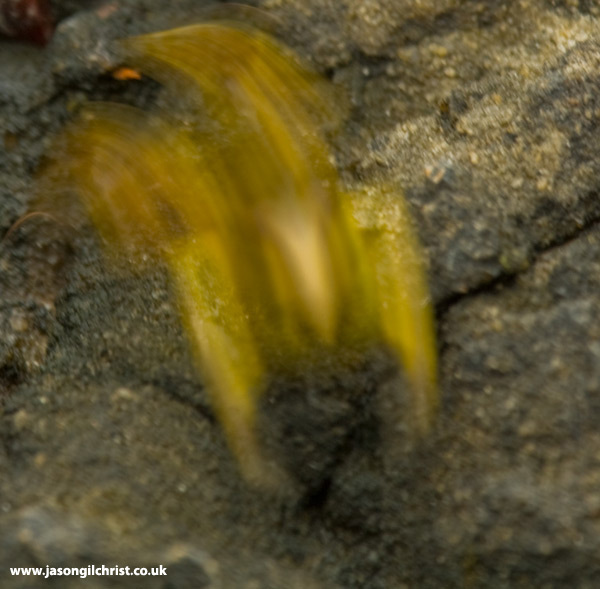 A blur of yellow as I capture the moment this frog leapt towards a puddle. This image highlights the flexibility of this amphibian. Leaping frog (Aglyptodactylus securifer).